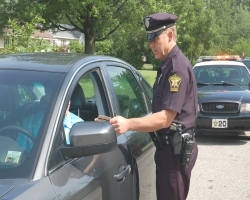 When a driver in New Jersey is stopped by law enforcement on suspicion of driving under the influence (DUI), it can be more difficult for the police officer to determine that the driver is on drugs and how much that is hindering the ability to drive. With alcohol, there are signals that an officer will look for such as slurred speech, bloodshot eyes and the smell of alcohol. With drugs, it can be more difficult to determine that the driver is under the influence. A driver who is under the influence of drugs might have trouble completing the field sobriety tests like the Walk and Turn test, the One Leg Stand test and the Horizontal Gaze Nystagmus test, but after these tests are given the breathalyzer test is not going to prove anything if the driver wasn’t drinking. With alcohol, it’s usually a cut-and-dried decision because the machine will register a number. If it is 0.08% or above, then there will be a DWI arrest. That can’t be done with drugs and a breathalyzer. Drugs can significantly impair a driver’s ability to drive a vehicle safely. A police officer can make a traffic stop when a vehicle is seen performing actions that are consistent with being under the influence. This can include ignoring traffic laws, swerving and going too slowly in comparison with the posted speed limit. When the stop is made and the investigation begins, there are different tactics that an officer can use to come to a conclusion that drug use is occurring before blood and urine tests can be given. Urine tests are generally not seen as completely reliable when given to a driver who has been using alcohol, but they are frequently used when a driver is suspected of using drugs. Of course, there’s the possibility that the driver used the drugs at a previous time and they’re still in the system. This is common with marijuana, which can still be in the system for days before the DUI arrest. If a driver is stopped on suspicion of DUI, is given a breath test and registers free of alcohol or below the 0.08% limit to warrant an arrest, but is still exhibiting clear signals of being under the influence, a Drug Recognition Evaluator (DRE) might be called in to observe the driver and search for telltale signs of drug use. A DRE has taken a course to try and assess if a person is under the influence of drugs, but given that it is so new a technique, it is rife to be called into question when referenced as a foundation for the arrest. A DRE has been trained to look for these signals and assess whether or not the driver has been using drugs. They will examine their eyes for their pupil size. The blood pressure will be taken as will their pulse rate. If the suspect’s muscle tone is rubbery or they show signs of being tense, this could be an indicator of drug use. Then there are the clearest of all indications that drug use was occurring – track marks on the arms to suggest that I.V. drugs were in use. DRE testimony can be called into question. It is an opinion that is meant to be the basis for continued investigation, but not the determinative factor in a defendant having been using drugs. If a driver is arrested on DUI charges and subsequently given a blood or urine test and the tests come back positive, then the driver will face charges for DUI. It is possible that there is a logical explanation for a driver to appear to be under the influence of drugs even if he or she hasn’t taken anything at all or hasn’t taken anything for several days. For example, if a driver is overly tired, ill, has a medical condition or is injured, these could be excuses for the appearance of being under the influence. The officer must have had just cause to make the traffic stop and there must be reliable evidence presented for the case if it is going to result in a conviction. Drivers who have been charged with DUI for drugs need to understand the consequences for a conviction. Like a drunk driving conviction, there will be hefty fines, a driver’s license suspension, potential jail time and more.